SSIH was created on February 24th, 1930 from the merger of Louis Brandt and Frères SA, the Omega Watch Co. in Bienne, and Fabrique d’Horlogerie Charles Tissot et Fils in Le Locle – ‘Manufactures' who need no further introduction. During the difficult period of 1930 SSIH rationalized their movement blank factories and coordinated their sales policies. 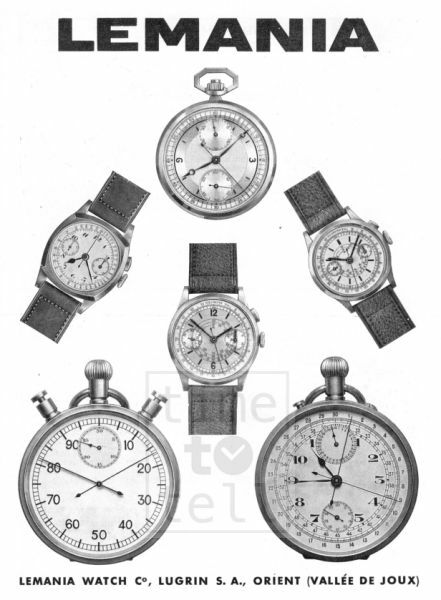 What was missing from all of these companies was the type of calibre that became sought after in the early 1930s – the chronograph. It was then that Marius Meylan, head of the Lémania Watch Co., founded in 1884 by his father-in-law Alfred Lugrin and located in the east in the Joux Valley, approached SSIH, and in 1932, Lémania was bought out by SSIH. SSIH quickly became a major player in the Swiss watchmaking industry. 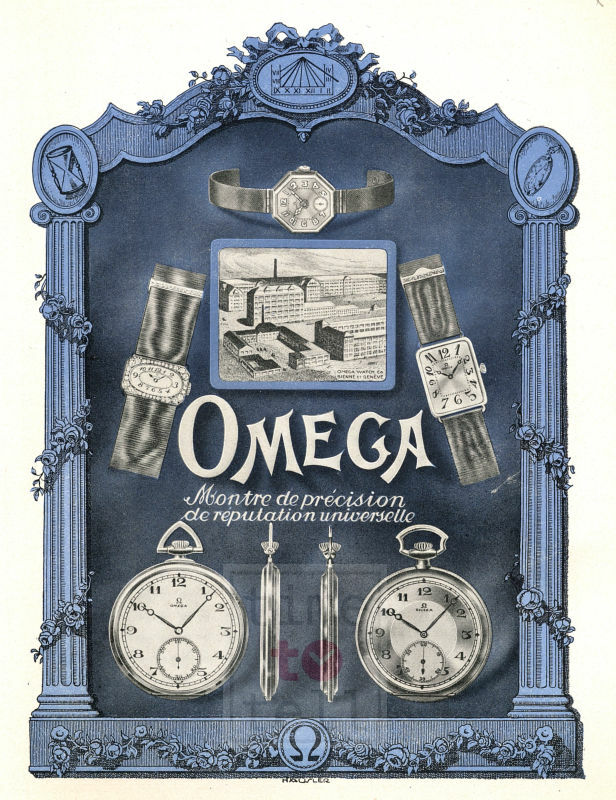 In 1948, the centenary of Omega, it employed 1,600 people and produced more than 500,000 watches. And in the years that followed SSIH continued to grow: 3,000 people in early 1960 and over 7000 in early 1970 with over 10 million parts produced. This growth was particularly the result of takeovers: Marc Favre in 1955, Eigeldinger and Co. in 1957, Rayville SA, manufacturer of Blancpain watches in Villeret in 1961. It is worth pointing out that what interested SSIH in Rayville was its remarkable line of ladies calibres and not the Blancpain trademark, which was dropped shortly after the takeover. In 1961 SSIH also bought out the toolmakers Cortébert, and in 1965 the Langendorf Watch Company, makers of Lanco watches. 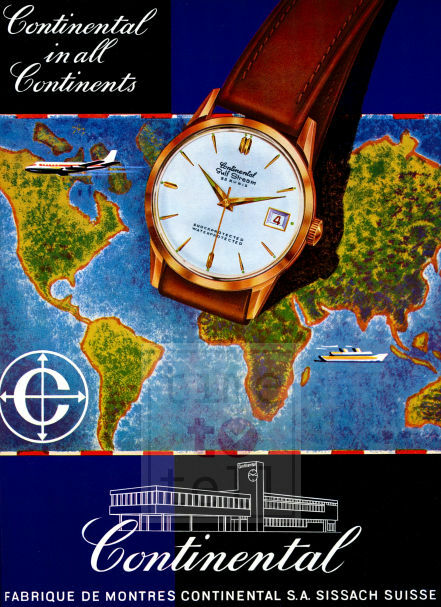 In 1969 when it came to battling it out with Timex and Seiko in the budget watch market, SSIH bought Aetos, a major manufacturer of pin-lever watches and two years later ESTH (Economic Swiss Time Holding established in 1967), the largest Swiss maker of Roskopf watches (with the brand names Buler, Continental and Ferex). The acquisition of Hamilton, between 1971 and 1974, was seen as indisputable proof of the supremacy of the Swiss watchmaking industry over their American counterparts.